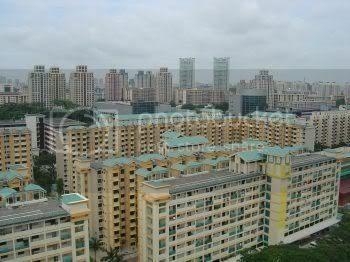 Is the HDB reaping profits of $170,000 per flat? Leong Sze Hian. Cost of building HDB flats – finally an answer? I also refer to media reports (“SGX mainboard-listed BBR secures S$104.2m HDB contract”, ChannelNewsAsia, Aug 17) Channelnewsasiaarticlehdbcontract_com.mht that Singapore Exchange’s mainboard-listed BBR Holdings has secured a S$104.2-million contract from the Housing & Development Board (HDB) to build seven blocks of flats in Yishun Neighbourhood 4. The work comprises 864 homes, a Child Care Centre, a roof garden, communal amenities and site works, as well as contingency works. Since there will be 864 HDB flats, the average cost per flat, inclusive of communal amenities, site works and contingency works, is about $120,602 ($104.2 million divided by 864 flats). With the latest HDB new 4-room flats at Punggol (Punggol Residences BTO) selling at an average price of $293,000 (price range of $264,000 to $322,000 divided by 2), does it mean that the HDB stands to make a profit of about $172,398 per flat, or a profit margin of about 143 per cent? “Since the additional housing grant scheme was introduced in 2006, the government has disbursed $251 million to more than 16,000 households”. So, does it mean that the estimated profits from just one BTO project (about $149 million) as discussed above, may be enough to cover about 59 per cent of the total disbursement from 2006 to now, for the additional housing grant scheme? “Flat hunting : Why cash over valuation ever introduced?” (Aug 20).